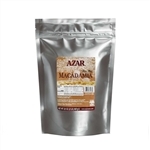 Azar Tropical Treasure Mix 1 oz. Whole Roasted Salted Fancy Cashew Nut - 5 Lb. Coconut Sweetened Fancy Shredded - 10 Lb. 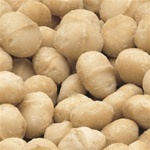 Snack Macadamia Nut Pieces dry Roasted Unsalted - 5 Lb. Snack Mix Asian With Wasabi Peas - 5 Lb. 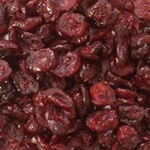 Thompson Seedless Raisin Dried Fruit - 1.3 Oz. 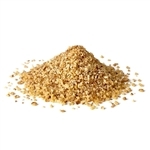 Chef Xpress Kettle Walnuts - 5 Lb. 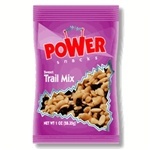 Power Snacks Banana Chip Dried - 1 Oz. 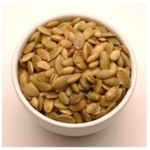 Pepitas Raw Pumpkin Seeds - 5 lb. 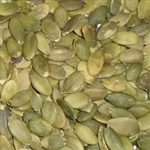 Bakers Select Pecan Piece Medium Raw Nut - 5 Lb. Chef Express Medium Pecan Praline Piece - 5 Lb. 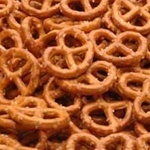 Medium Candied Pecan Pieces - 5 Lb. Walnut Nuggets Toasted - 5 Lb. Azar Energy Trail Mix - 2 Oz. 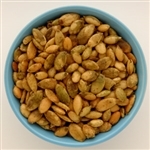 Roasted Mixed Nut with Peanut Salted - 3.5 Lb. Chocolate Sprinkles - 6 Lb. Rainbow Sprinkles 6 Color - 6 Lb. Rainbow Sprinkles 8 Color - 6 Lb. Route 66 Chicago Pub Mix - 8 oz. Route 66 Sweet St. Louie Mix - 8 oz. Route 66 Grand Canyon Mix - 8 oz. Margaritaville Volcano Sriracha Mix - 12 oz. STB Pecan - 1.5 Lb. 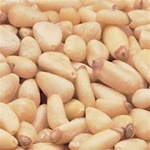 STB Almond - 1.5 Lb. Softer Than Brittle Cashew - 2 Oz. A great supplier of nuts in bulk for restaurants and foodservice cafeterias. Choose almonds, peanuts, cashews and other nuts for your cafes and cafeteria meals. Success at Azar Foodservice is helping foodservice professionals with their meals. They offer a full line of nuts, candy, snack mixes, coconut, peanut butter, dried fruit, and sprinkles to make your dinners and desserts the best they can be. Serve your patrons a little cashew nut chicken or maybe create a nice healthy salad with almonds in it. Nuts pack lots of nutrition into tiny spaces.